Our children are our future, but for many Kiwi kids who need foster care, that future can look bleak. The Lifewise team works hard to maintain and rebuild families and whanau. Sadly, sometimes keeping a family together is not possible. In those situations, one of the most important things that Lifewise does is provide high-quality foster care to children who are unable to live with their family. This may be because the home is no longer a safe place or suitable environment for them. Typically, these children’s lives have been turned upside down by chaos, neglect, and trauma and they have often been put at risk both physically and emotionally. Our caregivers take care of children for as long as required. Highly respected by other community organisations, Lifewise is one of Auckland’s largest and most experienced foster care providers. Sadly our need for caregivers in Auckland is increasing. Our caregivers are extraordinary people – compassionate, family-focused and big-hearted. 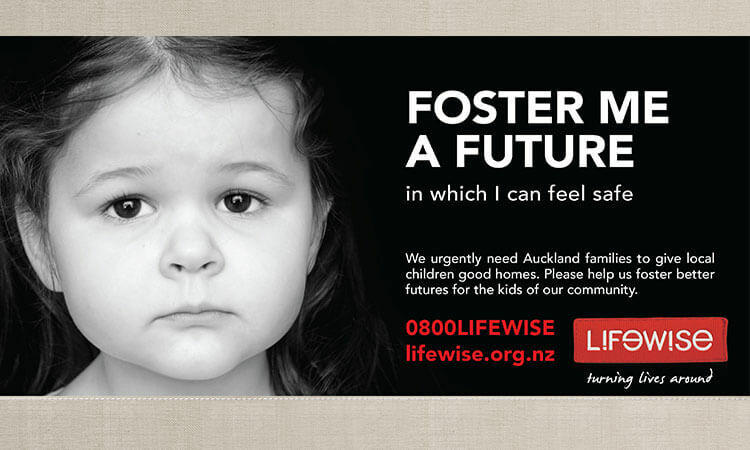 If you’d like to register your interest, please give us a call on 09 818 6834 or email familyservices@lifewise.org.nz. We’d love to hear from you. “I want them to get their childhood back,” says Margaret, who has been a Lifewise Carer for 10 years. Margaret is one of many generous people who open up their homes and their hearts for children who need a safe and happy home away from the one they were born in. Watch the video above to know more about Margaret.